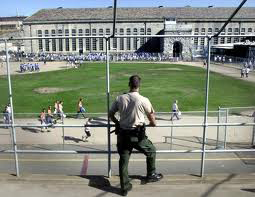 Change is finally coming to one of the nation’s notoriously overcrowded prison systems. On Feb. 3 the New Orleans City Council voted unanimously to pass an ordinance authorizing the construction of a new jail that’s much smaller than what had previously been planned, marking a major effort to downsize the city’s swelling prison population. The ordinance paves the way for construction of a 1,438-bed jail — less than a third of the size of the originally proposed expansion that called for more than 4,000 beds. 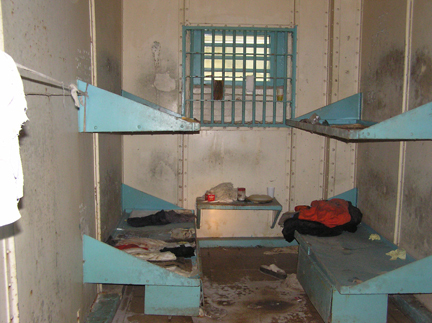 As a point of comparison, before Hurricane Katrina the city’s jail complex had about 7,500 beds and housed prison inmates who had already been tried, convicted and sentenced. However, some city administrators are calling the council’s vote a big mistake. “During the time the size of the new jail has been discussed, the murder rate in our city has, unfortunately, not decreased,” Orleans Parish Criminal Sheriff Marlin Gusman told the Times-Picayune. It’s been a tough road to last week’s vote. When supporters of the smaller jail compared New Orleans with neighboring Jefferson Parish’s 1,200-inmate facility, Gusman called it “ludicrous” and naive to the city’s obvious realities. For criminal justice reform advocates, that’s exactly the point. They claim that having smaller jails will force the city to explore alternatives to incarceration that tackle systemic issues like joblessness and poverty. San Francisco native Jamilah King is the news editor at Colorlines.com, where this story first appeared, coordinating story assignments and news breaks as well as covering urban politics, youth culture and Internet policy. She tweets at @jamilahking. Million dollar post this is and the title is too good.Am here to inform everyone about this most important place where how do i log off windows 10 everyone get to know all the short cut keys to sign out their desktop.Thank you.